Coincidentally, my 2017 marketing ethics CLE program is based on the column (or maybe it was vice-versa), Mastering the Three Rs–Lawyer Ratings, Rankings & Reviews, one of the more popular topics that I address. 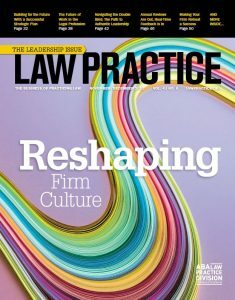 Whether you read my column or attend the CLE—or both—you get a pretty good feel for just how much of an impact the concept of lawyer ratings and rankings have on the profession. It is a subject that has been fodder for law marketing conferences for decades now, with only one result really changing. The players remain the same. State Bars struggle with the surrounding ethics issues. But the one change is that there are MORE of them now, not less. And determining which ones you are going to pay attention to is increasingly difficult. You might love Chambers USA and hate Super Lawyers. Or love Super Lawyers and hate Martindale. Or prefer how you rate online with Google or Yelp. And maybe you prefer the local-yokel “Crazy Great Lawyers of South Jersey” (or something like that in your own backyard) that has minimal methodology requirements but lots of good ad sales people. It is a very, very subjective business, for sure.